I was reading a couple of weeks back that you can now purchase a PayPal security key for $7.50 AUD which adds an extra layer of protection when logging in by having to enter a 6 digit code which is generated when you click the button on the security key. I just couldn't resist so I ordered one which was to take up to 10 working days for it to arrive. I'm not to sure of the exact day it actually arrived as I don't check my mailbox everyday but I had before the 10 working days. Activating the security key to work with my PayPal and eBay account was quite easy, just a matter of clicking on the activate security key link after logging in and entering in the security key serial number and then 2 consecutive generated numbers. Now after logging with my username and password I get a secondary login screen to enter the generated 6 digit security code. For PayPal it looks like this. 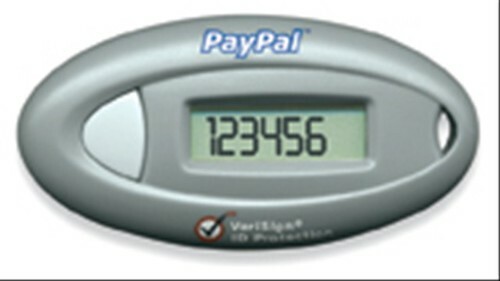 Click on the I don't have my PayPal Security Key take you to this page. For eBay it's looks like this. 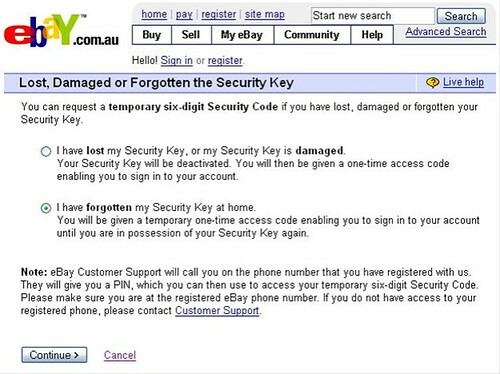 If you click on the Lost, damaged of forgotten your Security Key take you to this page. I didn't go any further down then the above pages for not having my security key on me but you can see that it's still possible to access your accounts but it will require additional verification and in the case of eBay their Customer Support will call the number listed in your account to verify. So the for the cost of the security key to get that extra layer of security seems like a very good deal.